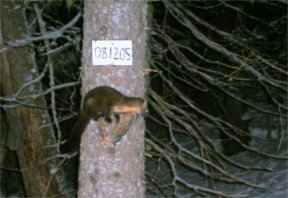 Pictures - Two separate pine (waltx-lá) martens caught on camera. 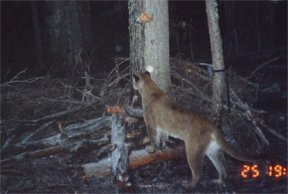 Picture 2 - Cougar (Kwaawí) looking for food. 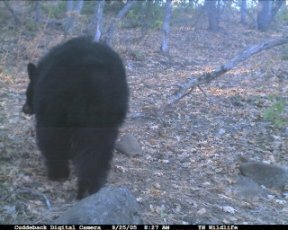 Pictures - Two separate black bears (anahui) caught on camera. 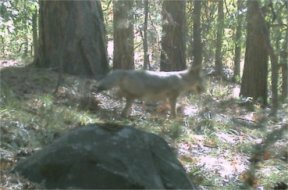 Picture - Coyote (spílya) caught running through. 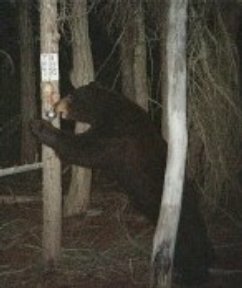 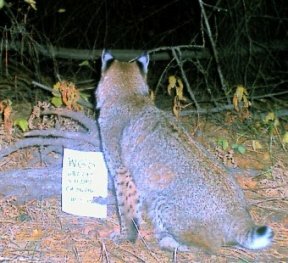 Picture - Wolverine caught on camera.